With today’s fast-paced life, everyone expects things to happen at a lightning speed. Be it ordering food or buying a new phone online. People like to get what they want instantly. Due to the availability of one-day delivery or same day delivery, people are now more impulse. To cope up with such fast-paced young generation, the lenders are now coming up with instant loan app. In fact, there are various online apps that provide a personal loan to its users within a few hours. Yes, it is not only possible but many young professionals are now opting for loan app instead of borrowing the money from family or friends. Asking for money from your circle means explaining them the usage of money, the instant loan app never asks for any reason. One can take a personal loan for any reason be it a medical emergency, to buy a new phone, for travel expenses to renovate a house or debt consolidation. These apps are faster and user-friendly compared to the traditional bank loans. The process is completely private and secured. • Personal loan typically lasts between 1 to 6 months. I.e. you can take a loan for 30, 60 or 90 days. • The procedure is faster compared to the loans offered by banks. The application can be completed in 20 minutes. • You can apply for such loans sitting at your home or at your office as no physical documentation is required. • The loan app offers unsecured loans, you don’t have to show any asset ownership. You can apply for a personal loan by following simple steps. Download the CASHe loan app from your Google play store or Apple App store on your smartphone. Complete your profile by entering your details. You can avail a loan ranging from ₹10,000 to ₹1 to 2 lakhs, depending on your income. Enter your required amount. Upload your documents from your smartphone itself on the instant loan app. This involves your identity proof, Address proof, and Income proof. 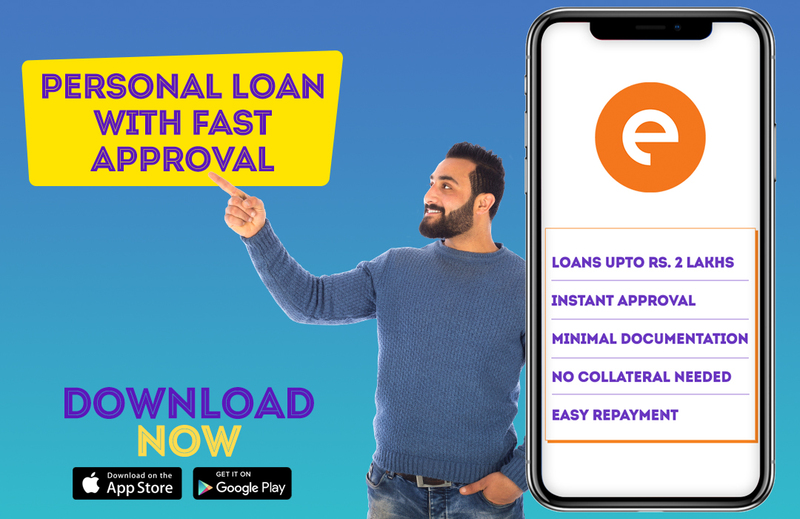 Once the documents are successfully uploaded, the loan app will then review your request and will approve your personal loan if the documentation is correct. Once the instant loan app approves your loan the amount is then disbursed in your personal savings account. You have to between 23 years old to 58 years old to avail a loan on the instant loan app. Only Indian residents are eligible to apply. You need to be a salaried employee of a registered company. Self-employed people having their own business can also apply for a personal loan if their business is in existence from past 3 years. Yes, it is actually possible to get a quick loan on the same day of application with loan app like CASHe.